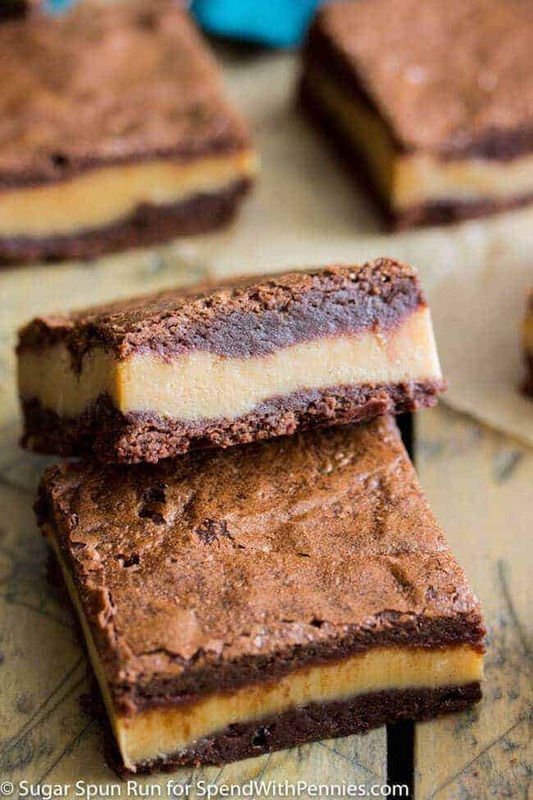 These decadent, surprise-inside peanut butter fudge brownies are made of fudgy chocolate brownies with a thick layer of simple peanut butter fudge sandwiched in the middle! 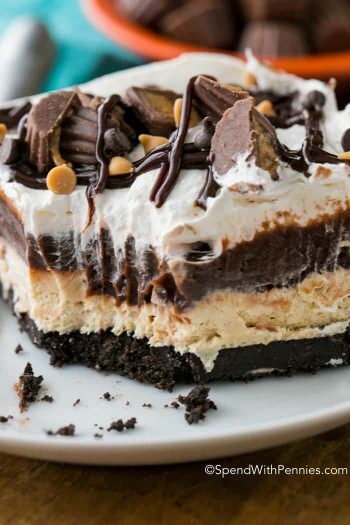 Is there even a better flavor combination than peanut butter and chocolate? If there is, I haven’t found it yet. It’s one of my favorite combinations, and I’m constantly trying to come up with new ways to marry these two flavors together. 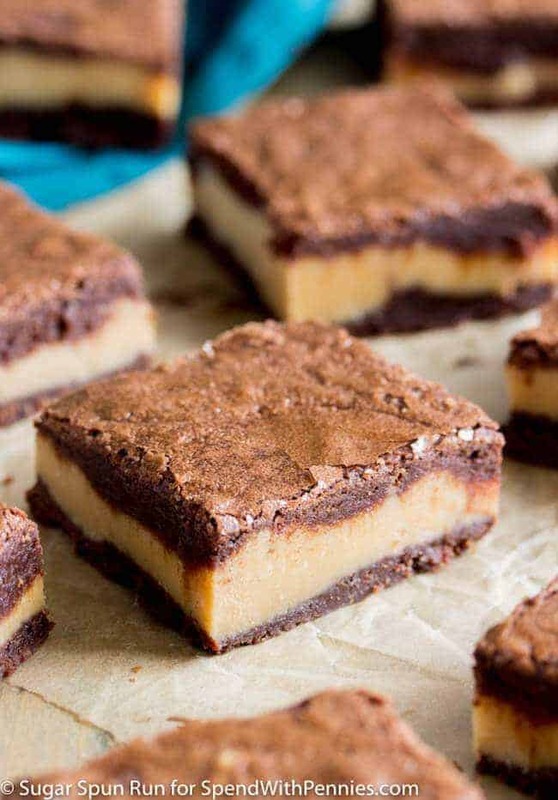 That’s why this month I knew I wanted to share a peanut butter and chocolate recipe with you — in the form of these peanut butter fudge brownies! 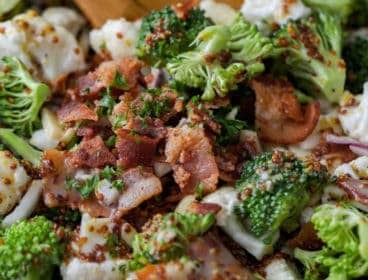 I like to make most of my recipes from scratch, but I did try these out with a box-mix as well since I know how popular those can be for saving time! 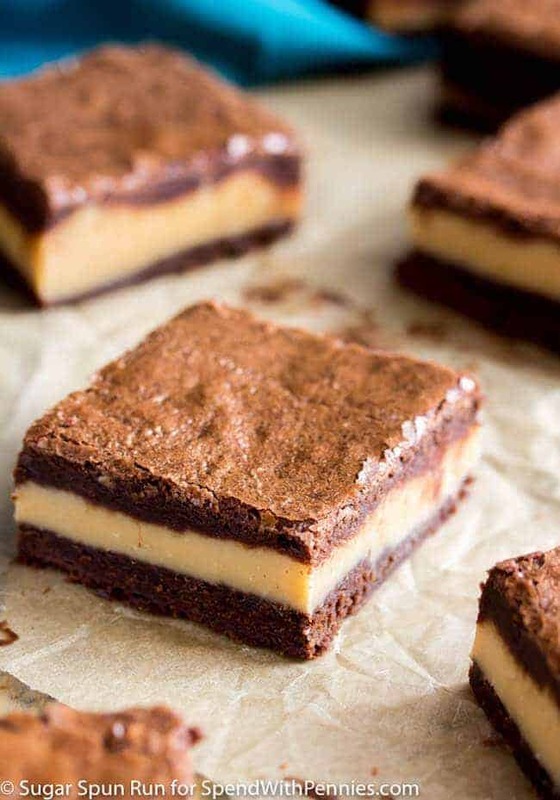 However, while you can make this recipe work with a box mix, I definitely recommend making the brownie layers for this recipe from scratch, not just because it tastes better but because it’s much easier to layer into the pan. 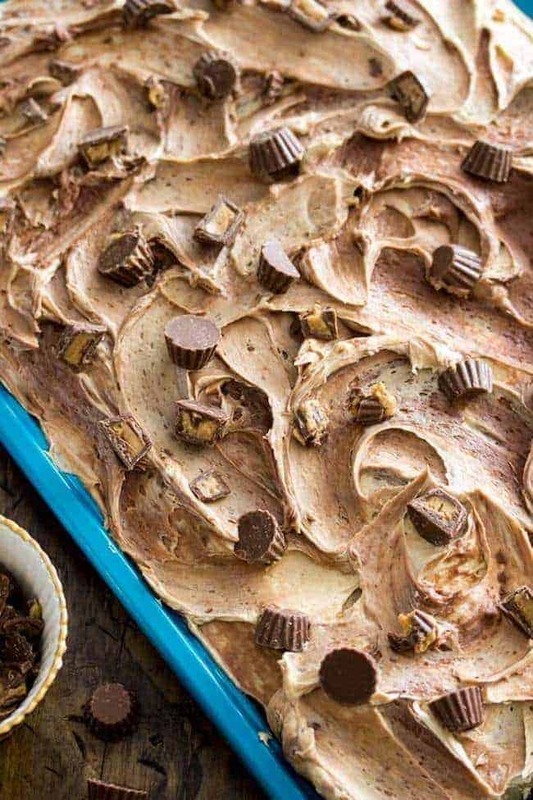 When you spread the first half of this homemade brownie batter into the pan, it sets a little while you are preparing the fudge and you can easily spread the peanut butter fudge over the first half. 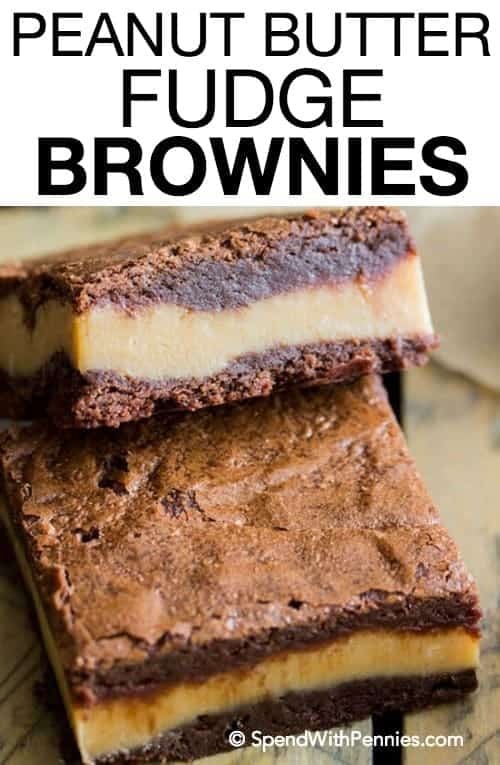 When I tried this with a box-mix, the brownie batter was very liquid-y, and it ended up being more of a messy, uneven combination of brownie batter and fudge, and there wasn’t quite enough batter to cover the top. I definitely recommend making the easy homemade brownie batter, instead! 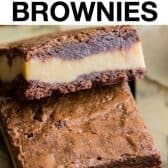 I slightly modified my absolute favorite brownies from scratch for this recipe to keep things nice and simple (nearly as easy as a box-mix, really!). They’re fudgy, very chocolaty, and can be made in just one bowl. 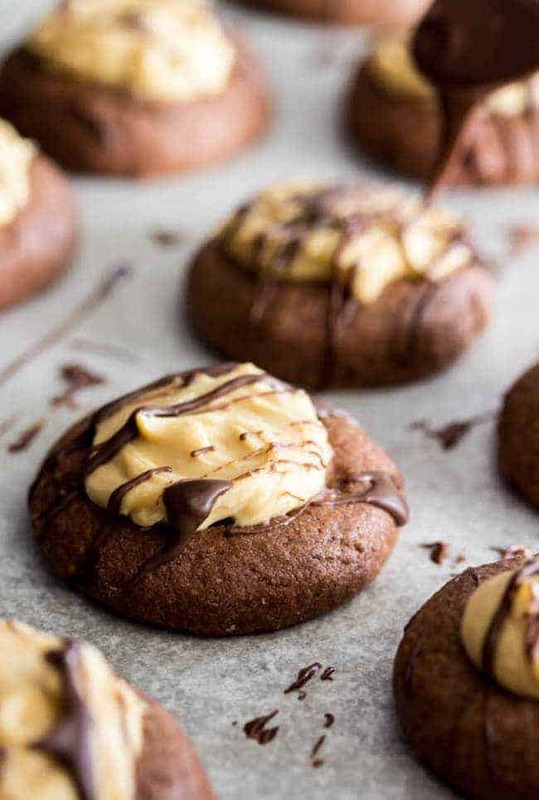 The peanut butter layer couldn’t be simpler to make — just combine your ingredients in a saucepan and stir until everything is melted, no candy thermometer or fancy equipment needed! These peanut butter fudge brownies do take a bit longer to cook than your average brownies because of how thick they are (thanks to their rich peanut butter centers! 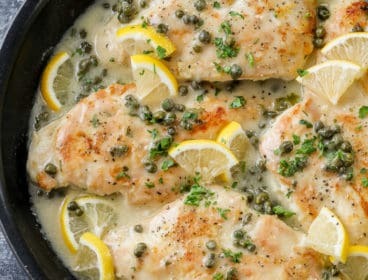 ), but preparing and assembling them is a breeze, as you’ll see in the recipe below. 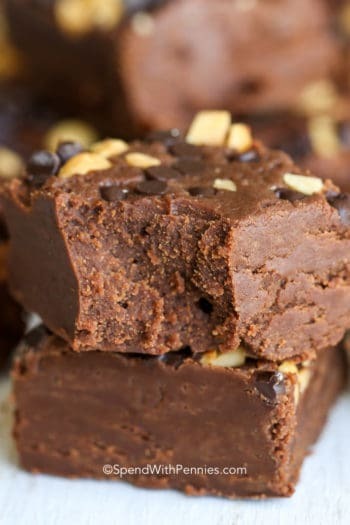 These peanut butter fudge brownies are rich chocolate brownies with a simple peanut butter fudge center! 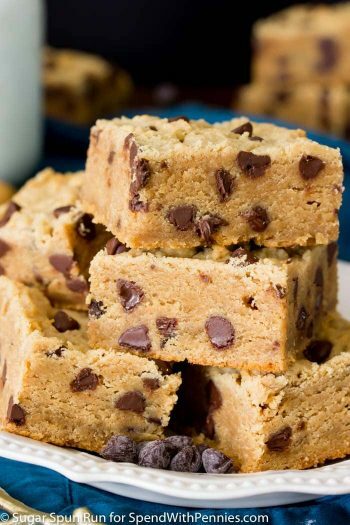 Combine butter and chocolate chips in a large, microwave-safe bowl. Microwave for 30 seconds. Stir well, microwave for another 15 seconds and then stir well again. Repeat for 15 seconds until chocolate and butter are completely melted and well-combined. Add cocoa powder and stir well. Add sugars, stir until completely combined. Add vanilla extract and salt, stir to combine. Add flour, stir until completely combined. Combine peanut butter chips, condensed milk, and peanut butter in a medium-sized saucepan over medium-low heat. Stir frequently until peanut butter chips are melted and mixture is smooth. 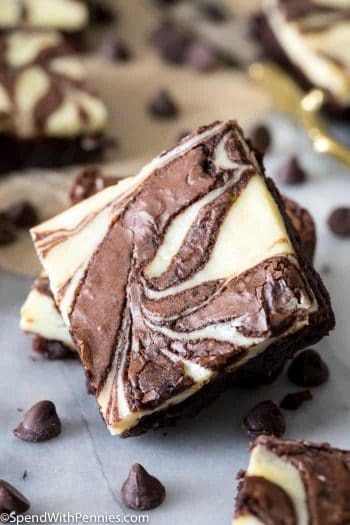 Remove from heat, stir in vanilla extract and salt, and pour evenly over brownie batter in pan, use a spatula to spread evenly, if necessary. 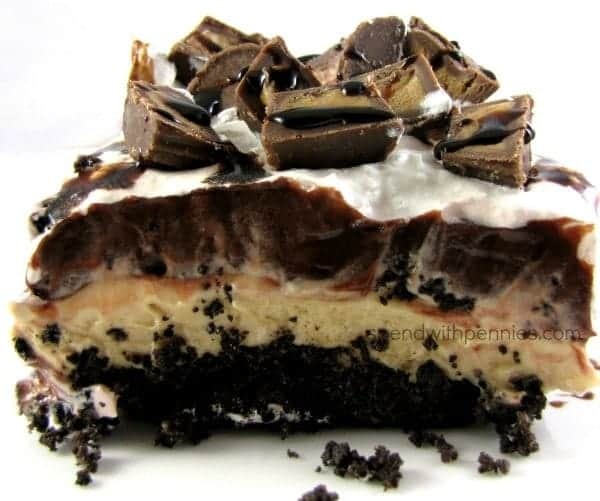 Allow to set for about 5 minutes, and then spread the remaining batter over the fudge, doing your best to cover completely with brownie batter. Bake on 350F for 40-50 minutes, use a toothpick to check for doneness at 40 minutes (toothpick should come out with few fudgy moist crumbs, but not wet batter). 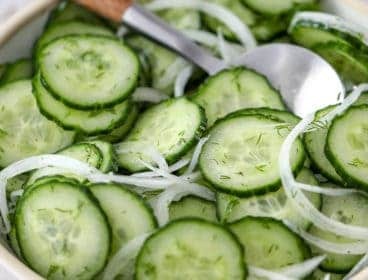 Allow to cool completely before cutting and serving. The longer you allow the brownies to set the firmer the fudge will become. *For a stronger peanut butter flavor, you may use peanut butter chips instead and omit the actual peanut butter. Peanut butter chips can be difficult to find, which is why I wrote this using white chocolate chips. Question re: Condensed Milk- do you mean Sweetened Condensed Milk like Eagle brand? Or something else? Thanks! Yes Suzie, sweetened condensed milk. Enjoy! I made these for the first time tonight and I followed the recipe to the T. I used peanut butter chips instead of peanut butter is all I changed they came out terrible. I used a dark pan so I lowered my oven temp by 25 degrees and baked them 30 minutes. 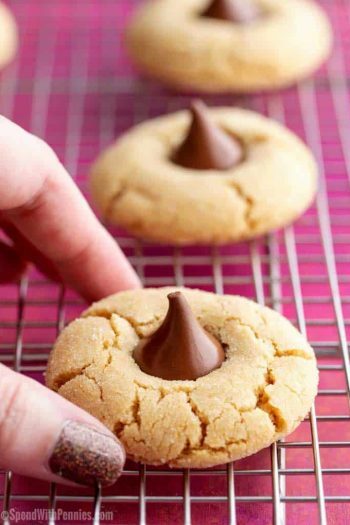 They came out hard as a rock, burnt on the bottom, hard to cut, no peanut butter flavor at all and too chewy. How many sticks of butter equals 18 tbsp? I thought it was 2 sticks and 1/2 so that’s what I went with and I had oil on top of my brownies. Just a mess. Sorry to hear that these didn’t work out for you. Unfortunately, substituting peanut butter chips for peanut butter changes the recipe and will not work. 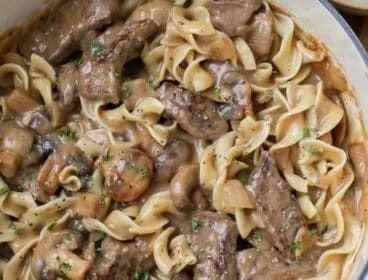 It’s not fair to review a recipe that you made incorrectly. You used too much butter. Each stick is 8 tablespoons. 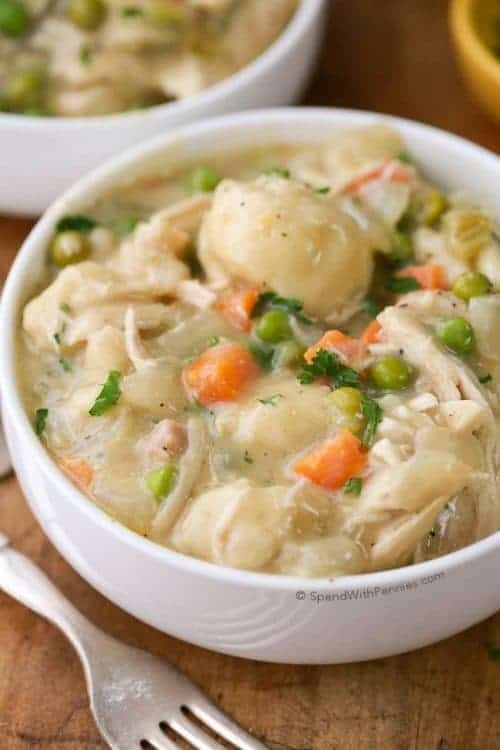 So you should have used 2 sticks and then two tablespoons. Nicole, you did not follow the recipe to a T if you exchanged peanut butter (creamy in texture) for peanut butter chips (solid in texture). Two completely different ingredients.You also used too much butter. There are measurements on the actual sticks of butter to help count, if you need. 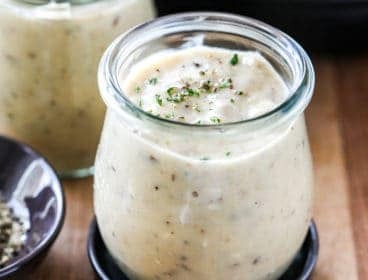 You made the recipe incorrectly and that’s why it turned out so bad. Maybe check to make sure you actually followed everything to a T before making somebody’s recipe out to be a bad one. Not fair at all. 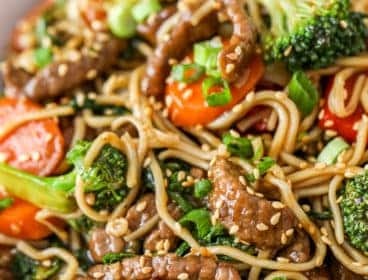 I have not made them yet but they sound delicious!